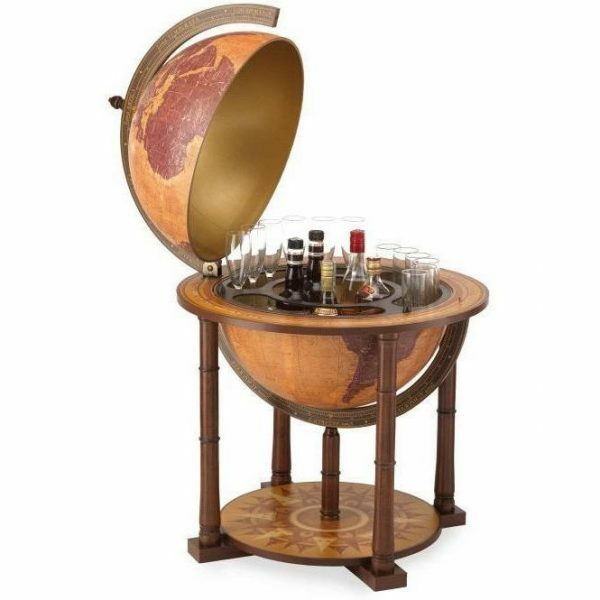 Floorstanding bar globe from Gea collection with Ochre and Burgundy updated map and stylized shapes. 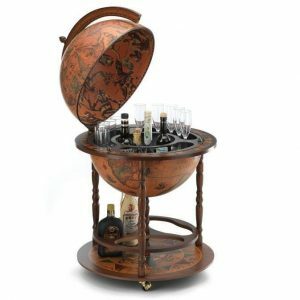 Made with high quality materials this globe, equipped with hidden wheels, has an inner bar compartment to store 4/5 bottles and approximately 12 glasses. 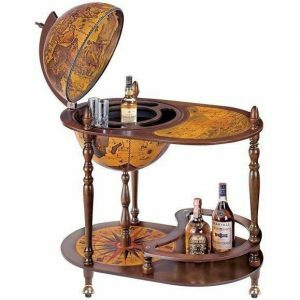 Additional bottles can be stored on the unique lower base shelf decorated with a beautiful wind rose, perfectly harmonious with the Zodiac band around its equatorial line. 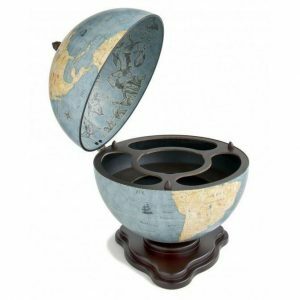 Decor your home or office with a touch of classicism.